3. Napking Roll holder-> A place to put your bracelets! 4. 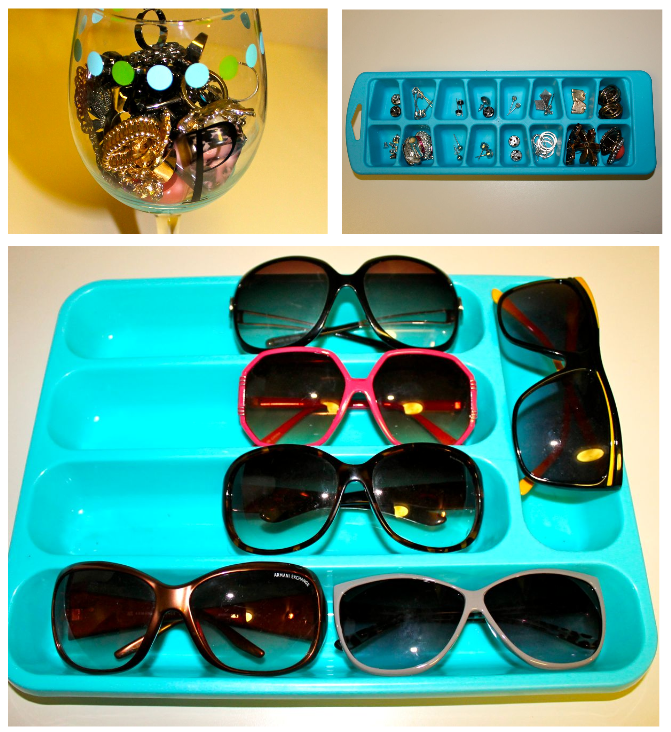 Utensil Holder-> Place to store sunglasses, or beauty products! Gracias por visitarme , a mi también me encanta mi abrigo pero fue un caprichazo , era un poco caro y me costo muchísimo decidirme . the ice cube tray is brilliant and KUDOS for reppin' San Diego!! So many interesting and beautiful jewellery! Such great ideas! I personally bought some hanging wall jewelry holder at the container store to sort out some of my jewelry. 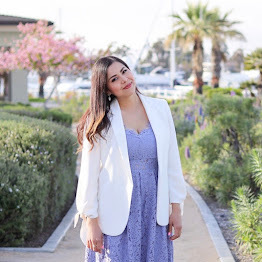 Feel free to swing by my blog and follow if you'd like; I'll do the same as well. grandiosas ideas!!! 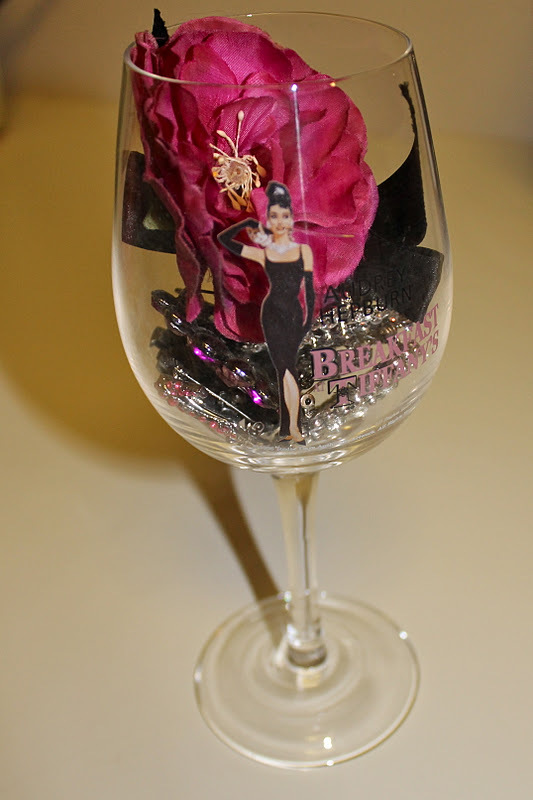 i love your audrey's cup!!! This is so charming I love lal of yoru ideas Ive seen the napkin holder before but not the ice cube tray idea thank you! The paper towel holder for bracelets is genius! wow thanks for giving me ideas! I've been looking for a bracelet holder and no luck and you gave me the idea of the napkin holder! Great ideas babe! Thanks for sharing! Oh i luv these pics! Great ideas ! so many great ideas!! i like the ice cube tray one, where you can put all those tiny bity little stuff!! OMG! You have the most amazing ideas!! 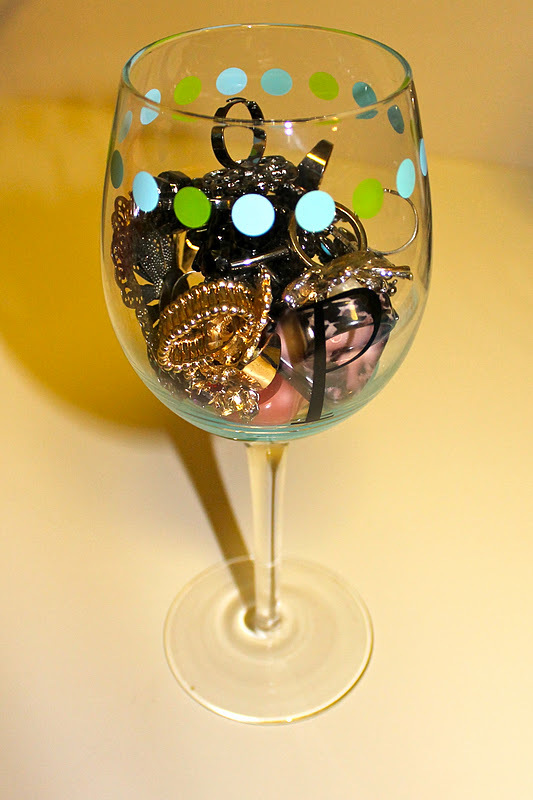 Now I know how to organize my accesories and jewerly!! lol Thanks for share it Pau! How cute!!!! That Paper Towel holder is such a great idea! I love these ideas! So very cool and creative. Your blog is great and I'm now following you. :-) Thank you so much for checking out mine tonight! These ideas are so creative! 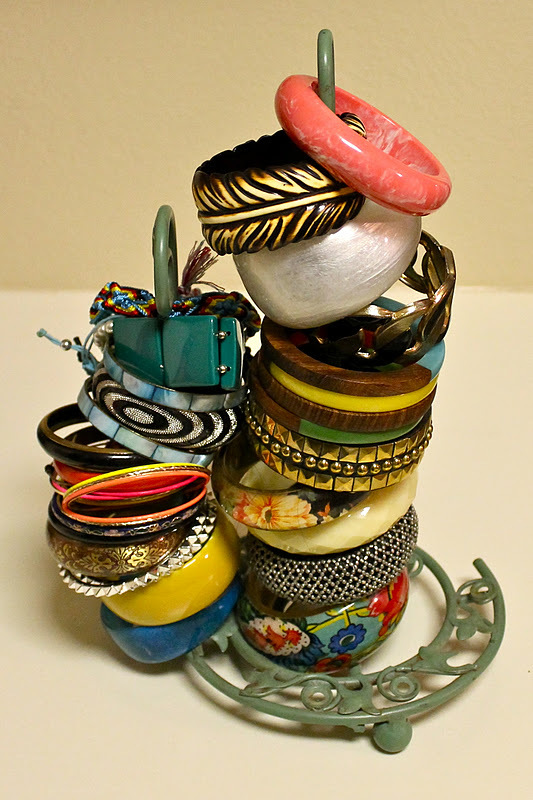 I LOVE how you used the napkin roll holder-it looks so gorgeous with all those incredible bangles.